These delicious tiny treasures, Manti or Mantu, dumplings with spiced ground meat and onion, is one of the all time favorite dishes in Turkey. In especially Anatolia, family members gather to prepare the dough and fill the tiny dough squares with the filling together; it is a bit of a labor of love, so it is great to get together for making it, and so worth the effort. The marriage of the melt-in-the-mouth dumplings with garlic yoghurt sauce and spice infused olive oil is simply irresistible. Tangy Sumac, red pepper flakes and dried mint infused in olive oil all add another layer of deliciousness and work greatly with garlic yoghurt as the sauce for manti. The word manti derives from mantu, meaning dumplings. It is a shared culinary heritage that the nomadic Turkish tribes brought with them when they travelled from Central Asia towards Anatolia, today’s Turkey, during the 13th century. According to Holly Chase, “Turkic and Mongol horsemen on the move were supposed to have carried frozen or dried manti, which could be quickly boiled over a camp”; what a brilliant idea. These delicious dumplings are popular in most Turkic cuisines, as well as in Armenian, Caucasian, Central Asian, Afgan and Chinese Islamic cuisines. These days you can get pre-made Manti in most supermarkets in Turkey and specialty & online stores abroad. These days you can easily find these delicious dumplings, manti in every supermarket in Turkey and Turkish specialty stores as well as Middle Eastern stores abroad, but there’s nothing quite like the homemade manti. In our family we make a double batch, bake the dumplings (which gives manti a nice bite) and freeze some of it for a delicious surprise later on, I highly recommend doing it. 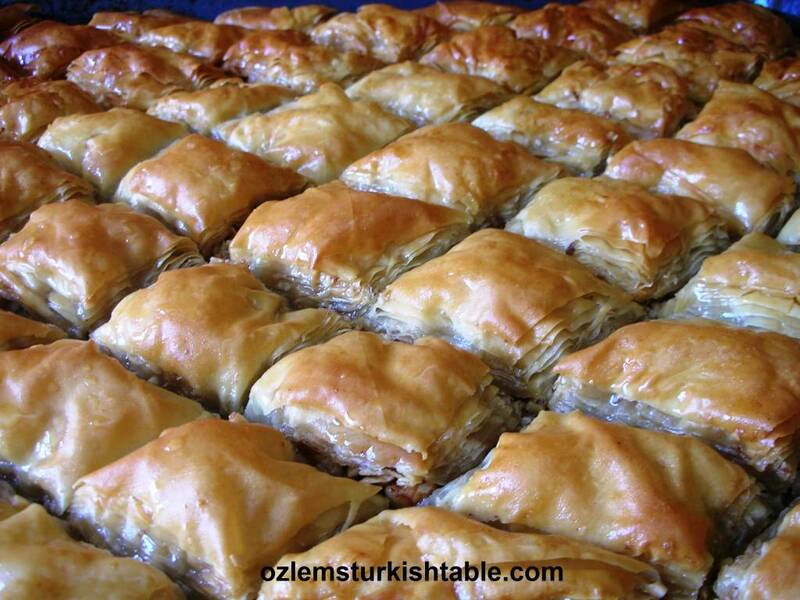 Traditionally, the filling consists of ground meat, onion and spices, though in Eastern Anatolia the crushed chickpeas with cumin and red pepper flakes are used as filling too and it is delicious vegetarian option. Delicious, tiny treasures, Manti; Turkish dumplings with spiced ground meat filling. I hope this scrumptious manti maybe a gift of good food, packed with history for your family and friends to share. First make the dough. Sift the flour and salt into a wide bowl and make a well in the middle. 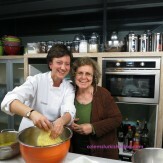 Pour in the beaten egg and the water and using your hands, draw the flour into the liquid and mix to a dough. Pour in the olive oil and knead the dough for about 5-8 minutes, until it is smooth and elastic. 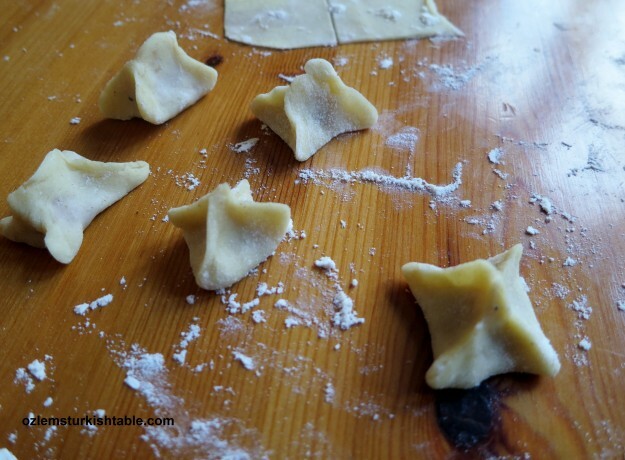 Manti dough needs to be quite hard; cover the dough with a cling film or kitchen towel and leave to rest in a cold place or in the fridge for 30 minutes. While the dough is resting, make the filling. Grate or finely chop the onion and combine with the ground meat. Season with salt and ground black pepper and mix well. In a separate bowl, beat the yoghurt with the garlic and season with salt to your taste. Spoon a little of the filling, rounded at a size of half a chickpea, into the middle of each square. Cut the dough into 3 pieces. Working one piece of dough at a time (and cover the rest of the dough pieces with a damp towel in the meantime so they don’t dry out), roll the dough as thinly as you can into a sheet, on a lightly floured surface. 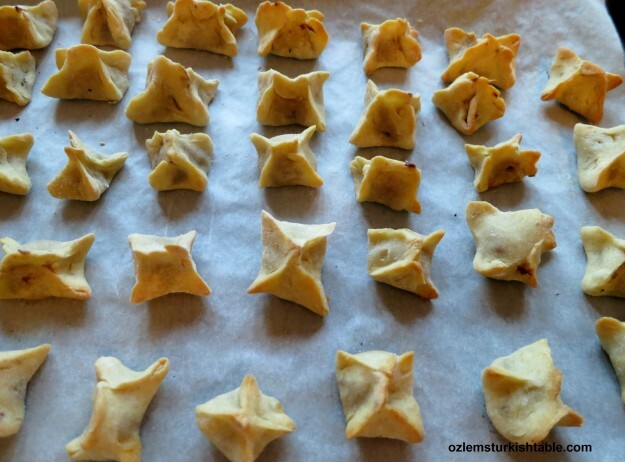 Using a sharp knife, cut the dough into small squares (roughly 2.5cm/1in). Spoon a little of the filling, rounded at a size of half a chickpea, into the middle of each square. Pinch the opposite corners to form a little a little pouch and press the seams together to seal firmly. Bake uncovered for 10 minutes, until the manti, dumplings start to get light golden. Repeat with the rest of the dough and place the stuffed dumplings in a greased oven proof dish, stacking them next to one another. Bake uncovered for 10 minutes, until the manti, dumplings start to get light golden. Take them out of the oven and let the manti cool. You can freeze some of this baked manti in a sealed bag for up to 3 weeks. Pour the hot water and pinch of salt to a large pan and bring to the boil. Place the baked dumplings gently to the boiling water and simmer for about 8- 10 minutes, until they are cooked. Once cooked, drain the water and return the manti to the pan. Drizzle a little oil over them so that they don’t stick together. While manti is cooking, prepare your sauce. Heat the oil in a wide pan and add the hot pepper paste, biber salcasi or the tomato paste. Stir in the red pepper flakes, dried mint and sumac, combine well and simmer for 1-2 minutes. Manti; delicious Turkish dumplings with spiced ground meat, served with garlic yoghurt and spices infused olive oil. Arrange manti on a warm serving dish and spoon the garlic yogurt over them. Then drizzle spices infused olive oil and tomato/red pepper paste sauce over the garlic yoghurt. You can decorate with extra red pepper flakes, dried mint and sumac and serve immediately. Spinach Salad with Pomegranate Seeds and Chestnuts & My Turkish Cooking Classes in Surrey & Istanbul in February! 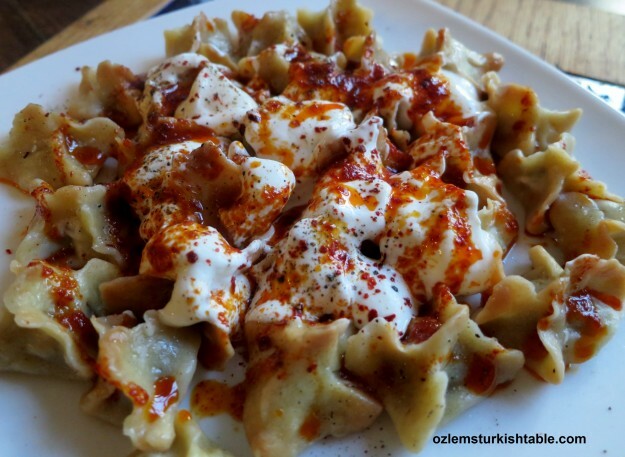 Can’t wait to have manti again when in Istanbul next year – they are delicious! Whishing you a very Merry Christmas and a happy, healthy and successful New Year dear Özlem. Özlem, We must be on some kind of a common wavelength! I was just yesterday having a conversation with my husband about mantı and how much we like it, and how hard I thought it was to make, but I’d really like to try some day, blah, blah, blah. And like a miracle, your recipe came. I’ve decided to give it a try on New Year’s Day. Should be a fun thing to do and my husband can help. (He also likes to cook.) BTW, I made your bulgar and patlıcan pilav last week. Awesome! Your blog has really been a blessing. I’ve learned so much about how to make good Turkish food. Can’t thank you enough. Yes, here’s to seeing you in 2014. Take care and Mutlu Yıllar. Oh I wish you could whisk yourself over here and make me some manti too. I’ve caught a nasty sinus cold and I think these would cure me right up! 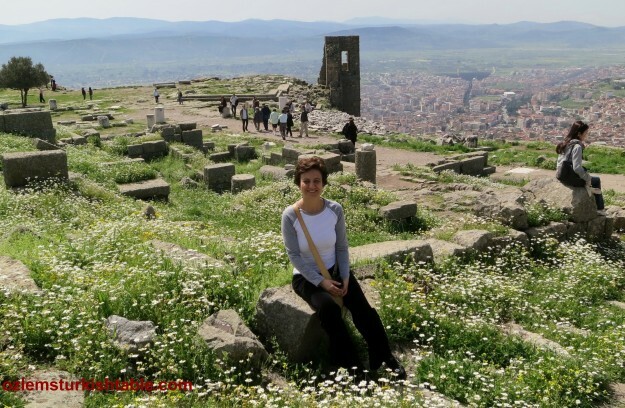 😉 Or if I had a nearby “gunluk yufka” place too would be nice! Have a wonderful new year too! Dear Ozlem, this looks magnificent! Love the savory flavors of ground meat in a dough topped with yogurt…each bite must a delight on the taste buds:) have a wonderful and happy holiday season. XxPeri. G’day Ozlem! Your Manti recipe and photos look so YUM today, true! Wish I could come through the screen (bringing a coffee or tea) and we could have a chat while I try some of this too! You’re so right Jonanne, how I wished we could do that too – glad you enjoyed it, many thanks for stopping by! Kayseri mantısını Türk mantısı olarak göstermeniz yerine diğer çeşitlerimizden de örnekler gösterseniz iyi olurdu. Kayseri mantısının özgünlüğü içinde bol soğan ve az et ile etin hemen çürüyerek yumuşaması ve çabuk pişen hamuruyla birlikte yumuşamasıdır. Aslında mutfağımızda mantı harcının pişirilerek yapıldığını belirtmek isterim. Diğer mantı çeşitlerimizde çok renkli ulusal yapımız içinde Hınkal ve Ruslardan geçen bazı tiplerde önemli bir yer arz etmektedir. Dünya mantıları içinde ise mantılarımızın en küçükleri olması ve sarımsaklı yoğurt ile servis edilmesi özelliğini de hatırlatmak istedim. Hepinizin eline koluna sağlık. Now I know where I have gone wrong in the past, I didn’t bake my mantı for 10 minutes. Time to try again. Thank you. treasure indeed! J and I always seek out the little manti houses when on our travels – they are facinating places to be with mother and daughters beavering away in between dishing out steaming bowls of delicious manti. Gosh! My taste-buds are going crazy! I’m definitely not a horseman but I’d love these. That sauce sounds so good – a great combination of flavours. Thank you Phil, the olive oil infused spice sauce and garlic yoghurt complement the manti very well, and brings out the flavors, glad you enjoyed it. Omg! 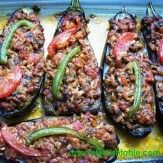 Thanks for posting this, one of my favorite Turkish foods. When I was in Kappadokya, we had manti at a restauraunt and it was topped with some type of cheese in addition to the yogurt sauce. Do you know what kind of cheese that might be? It wasmt melted but more like small chunks. It might have been feta but it wasn’t as sour. Are there variations of manti that are garnished with cheese? It was the best manti that I tried in all of Turkey. 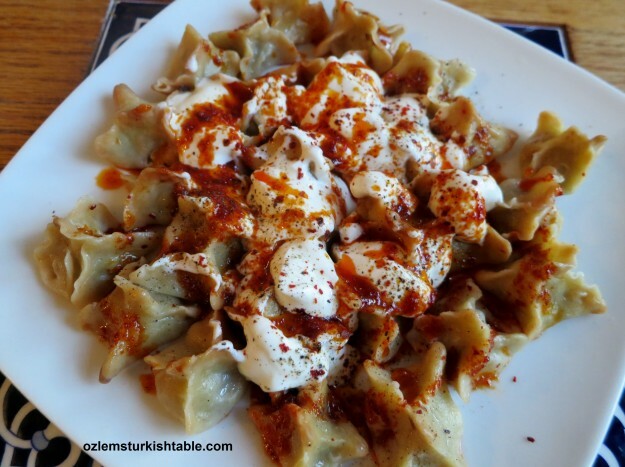 Merhaba Cali, glad you enjoyed manti and that you may have a go making your own; traditionally, we wouldn’t put cheese over manti; just garlicky yoghurt and spices with a tomato based sauce, so I am curious the one you enjoyed in Kapadokya. Perhaps it was something like cokelek – crumbled mild flavoured sort of feta cheese? – Whatever it was, so glad you enjoyed it! I am now thinking that maybe it was the quality of the yogurt. I made the manti recipe yesterday and boy was it a long process! I still have one dough ball left to do. I ran into one little problem. After I cut the squares and started to add the filling one by one, by the time I finished the dough was pretty dried out. For the second ball, I covered the squares with a towl and put the filling on a few at a time and this helped to keep them from drying out. 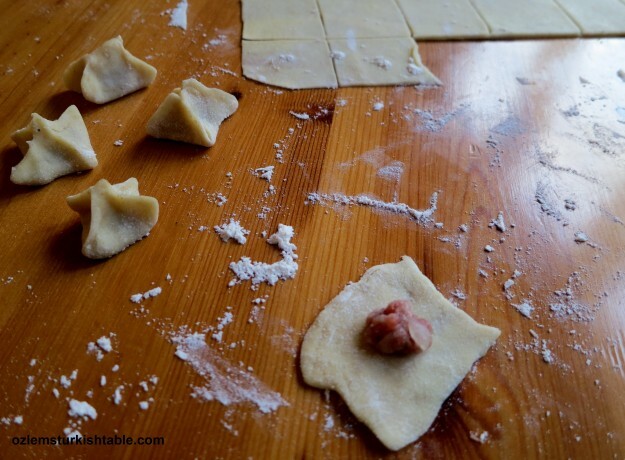 When I was shaping the dumplings, the dough would stick to my fingers a bit but it was difficult to get the edges to stick together to form the shapes so my poor manti came out deformed. Any suggestions for making the dough seal up? The dish still came out delicious with the sauce and I’m not too bummed considering it was my first time but I hope to perfect it. Thanks! Merhaba Cali, thanks so much for your feedback; manti is a very special meal though it is a labor of love and yes, takes quite a bit of time – that’s why I love it the way it is done in Anatolia, where friends and family gather together to prepare and fill the dough pieces, you need that extra pair of hands!- I would definetely recommend keeping the rest of the dough balls under damp towel so that it won’t dry out. When you’re filling the little pieces and sticking the ends together, speed is important so that the dough won’t dry out. You may like to have a little bowl of water with a dash of olive oil next to you when you are forming the dumplings. If you have difficulty sealing the dumplings, you may damp your fingers a little and that can help with sealing – not too much though otherwise it may get soggy. I am so impressed you gave it a go and that you enjoyed it. I am sure you will perfect it the next time – please let me know if I can help further, many thanks again for the feedback. I’ve made mantı a few times and found the best results came with using chicken broth to boil the dumplings and a melted butter with paprika to top off the yogurt. Looking forward to making it again soon! Living in Turkey now has taught me so much more about cooking and baking 🙂 afıyet olsun! 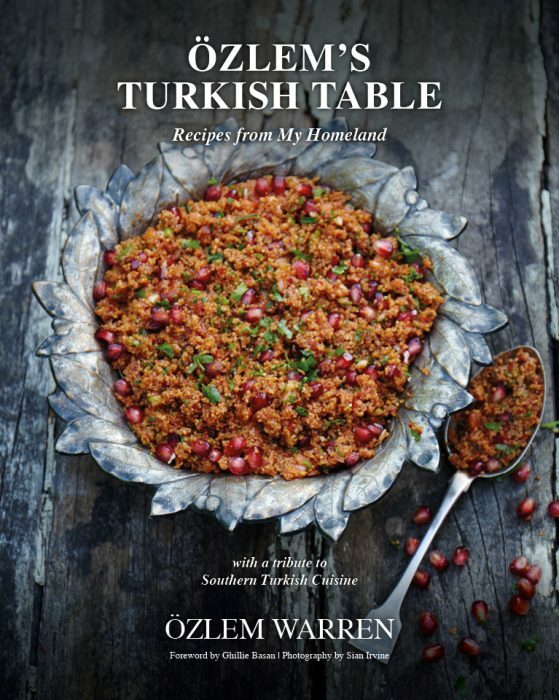 I’m definitely going to try this recipe….we recently had a Turkish meal for my wife’s birthday and they served this. Very tasty and except that it takes a bit of time doesn’t seem that complicated. Hi Ozlem! I love your recipes they’re amazing! Manti is our favourite! This recipe beats all that I’ve tried. Do you have an ebook with all of your recipes?? We love them in London! Tesekkurler! 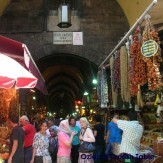 Ozlem, I was so happy to find this recipe! I was an exchange student in Izmir in 1980, and this was the one dish (next to dondorma) that I remember my mother making that I just loved. A month ago, I went back to Turkey for the first time with my teenage daughter, and although I didn’t know the name of the dish, as soon as I described it to an old Turkish friend, she ordered it up and I was again in heaven. We came home to Canada with boxes of delight, and bottles of Kolonya, but couldn’t bring back the manti. Within 48 hours of being home, I found your recipe on line. I made it, and felt as though I was back at the Bosphorus again, and home. It is a sentimental dish, and I thank you for sharing. Just a word to the wise- I used prepared wanton wrappers for the dough (they are readily available in Canadian markets) and they were perfet- very thin and delicate, and really let the lamb filling shine through. Thank you!